Guided assistance to locating images using Colby-owned imagebases or via the Internet. Spring '19 Office Hours: Tuesdays, 10 a.m.-noon; Thursdays, 1-2 p.m; or by appointment. 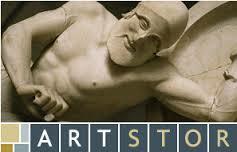 ARTstor has over 500,000 high-quality digital images, licensed for educational use, from all periods and world cultures, including architecture, painting, prints, sculpture, photography, decorative arts, and more. Create image groups, download images, and more. Colby login required. 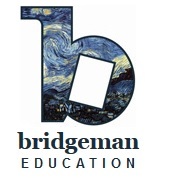 The Bridgeman Education website is an extensive visual image database covering all media (painting, photography, engravings, sculpture, architecture, archaeology and ethnography, history, science and medicine, the decorative arts, artifacts, and applied arts.) It supports the use of high-quality images for teaching, research or reference. Colby College's multidisciplinary digital image library for teaching and research. Subjects include art, East Asian studies, history, anthropology, American and African-American studies, classics, and other humanities and social sciences-related content. Images from the Colby College Libraries' Colbiana collection, primarily comprising digitized historical photographs. Highlights include views of Colby's first campus in downtown Waterville, construction of the current campus on Mayflower Hill, depictions of campus life, and the (Gedeon) Picher-Verdiere photo collection of Waterville history. Search across rights free image sites from museums, libraries, image repositories, etc. Curated select content from museums all over the world, searchable and organized by art movement, medium, time period, color, historical event and more. 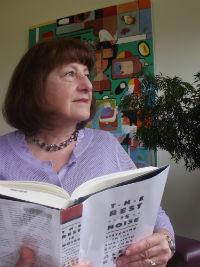 Sponsored by the Smithsonian Institution Libraries, this is a keyword-searchable site to locating online exhibitions from archives, libraries and museums. A fantastic tool! Can't identify an image? Upload it to TinEye to identify it.